In general, it refers to the spreading of disinformation on line or in the traditional media. It has to do with false information based on non-existent or distorted data meant to deceive and manipulate the reader. Spreading fake news can serve to advance specific goals, influence political decisions, and serve economic interests. 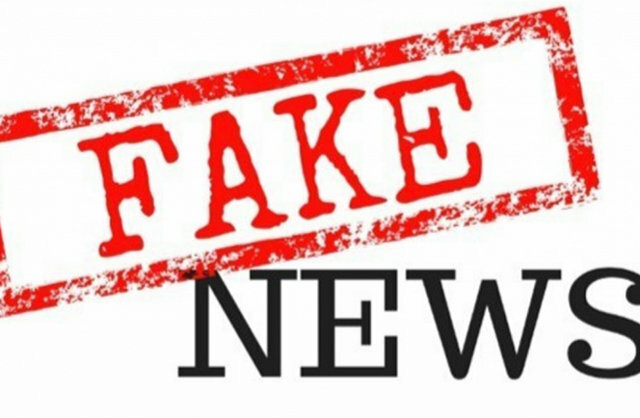 The tragedy of disinformation is that it discredits others, presenting them as enemies, to the point of demonizing them and fomenting conflict. Pope Francis himself is a victim of fake news. False information is being published about him and one needs to wonder what the intention of doing that actually is. It is not done innocently. In the last few weeks different people wrote to me privately asking if it is true that “Pope Francis has cancelled the Bible and proposes to create a new book”. This fake news is being shared on social media. It is interesting that people might believe something like this considering that Pope Francis has chosen to celebrate daily Mass with groups of people (mainly from the parishes in Rome) where he constantly refers to the Bible in his daily homilies. Books are being published gathering this homilies and different webpages daily present a summary of them. in his latest apostolic exhortation on the call to holiness in today’s world “Rejoice and be glad” (Gaudete et exsultate) in which he reflects on the Beatitudes (Mt 5: 1-12). It is true that people might not have seen those documents nor followed his daily homilies. It is interesting to note that in our daily lives we would not just believe anything we are told by others when we meet them “face to face”. We only believe those we know and trust. In such cases we are able to ask for more information, interrogate what we hear and go more deeply into the issue being spoken of. On the contrary, we seem to take anything and everything we read online as “true”. The internet seems to have become the new bible. Some people quote it in the way we quote God’s word! We hardly check the sources of the information like we would normally do with people. We hardly ever double-check if the information we are given or receive is right. Maybe the question is: Who are you trusting to help you know your faith and your Church better? Just anyone? I am part of many whatsapp groups – to which I hardly contribute. There is, though, one moment when I regularly do: when I come across or am confronted by fake news. We regularly read about Christians or missionaries condemned to death in a certain (usually) Muslim country. Another one that is common states: “Today, at 9pm, Pope Francis calls everyone around the world (…) to pray for (…)”. There is nothing wrong with praying for a special intention. But when the message, which I have seen a few times, says “today”… think again. Fake news goes beyond what could be an innocent joke – as on April’s fools. It is done with a purpose. There is nothing wrong with asking you to pray for Christians being persecuted in other countries. However, when it tells you about 249 non-existent missionaries in a specific Muslim context who are being killed, we need to wonder what the real goal of fake news is. Normally, a quick search on Google would reveal to us that these are scams and would show how long they have been doing their rounds all over the world. Double check information. The fact that you received it from a friend is no guarantee that he/she checked the source, do it yourself!You can verify important information about Pope Francis by going to the Vatican’s website,www.vaticannews.va. There are also well-known and trusted Catholic sites that can helps us check if information is true and can be verified. Remember that, particularly today, not every webpage that calls itself “Catholic” is really Catholic. There are a number of sites on which authors or organisations are simply pursuing their own agenda. Ask! Ask someone you trust. I am deeply grateful to those who privately write to our “Diocesan News” group for more information. Do not share the information unless you are sure of what you are talking about or passing on. If you haven’t verified it then you yourself will become part of the circle that promotes fake news.